Purchased vehicle and the registration is expired. Can you drive the vehicle with an expired registation? Will the vehicle be impounded should you be stopped by the police? Does the vehicle need to be smogged? Yes, we provide this service and more!! Want to order personalized plates or sequential plates? Change of address for both your driver’s license and auto registration? Please call us for California DMV services. Vehicle Registration, Boat Registration, Vehicle Industry & Commercial Permits, Special Plates, Personalized Plates, Disabled Placards. 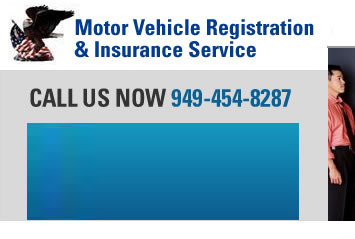 Los Angeles DMV Motor Vehicle Registration Services. We serve all of California, including DMV Ventura, San Bernardino County, Orange County, San Francisco, Riverside and Alameda County DMV Services. All contents © copyright 2010 Motor Vehicle Registration. All rights reserved.